Did you know that Elvis loved Cadillac cars so much, that in 1975 he bought one for each member of the 'Memphis Mafia', as well as a woman passer by who admired his lavish purchase? Boy-oh-boy! Isn't it a shame that he's not around today? Huh? Rather, than on this 55-minute documentary made in 2002. Thank you very much. Elvis was my friend first, and boss second. He did events no-one else did before. Elvis' fascination with women began with his mother. He loved women because he could speak to them. Around men he had to be macho though. It began in the army. He took a pill to go to sleep. He took a pill to wake up. But Elvis wasn't Elvis when he was on drugs 24/7. Not the man I knew. I was with him for seventeen years, but when he'd gone it suddenly hit me -- he was never coming back. When I called the Colonel and told him that Elvis had died, he said to me 'This doesn't changes anything. I still get my fifty percent'. It's a tough life being a star. I was dating Elvis the same time he was with Linda. She was a Miss World. I was a free-spirit. Our romance was fleeting; I was a career more than a lover. He had a strange phobia about getting a girl pregnant. There was no... err... through-line during the sexual act. I only met the Colonel twice in the two years I was living with Elvis. He died just under a year after I left him. I couldn't go to his funeral. I didn't want to believe it was true. Not so long after my parents died in a train accident, Elvis came into my world. He gave a twenty thousand dollar gold pendant star to a young girl in the front row, ordering a security guard to stay with her throughout the performance. Elvis was offered roles in the films 'Midnight Cowboy', 'Thunder Road', and 'A Star Is Born'. But the Colonel told him not to do them. If Elvis had a challenge, he'd want to face it -- head on. Elvis ordered someone to shoot the man that Priscilla was seeing, Mike Stone. But he dismissed this order not so long after he gave it. There was a television graveyard at the back of Graceland. He liked to shoot TV's. Ha! 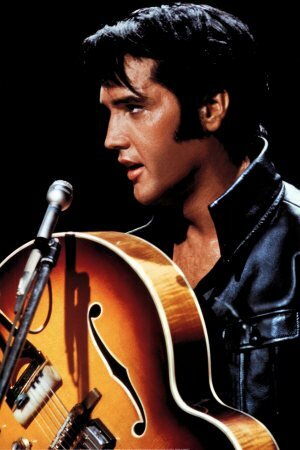 There will never be another Elvis. And with that, dear reader, all I have left to say is 'Elvis has left this documentary'. Now like many of you I'm sure; the first time I learnt anything about the King of Rock and Roll -- Elvis Presley -- came through my very own family. My mother kept of saying she would leave my father and go and live with him. My father liked him so much; he grew side-burns' and played his song's whenever he would go out into the garden and 'poodled around'. And even my cousins, my aunties, and my uncles, would likewise praise Elvis whenever the topic of music came up in discussion. But as for me on the other hand? Well? Initially I wasn't too sure myself. Granted, I knew that he could sing -- no doubt about that. And his songs were always heartfelt, dramatic, and poignant too. Still, if truth be told, I've always been a bit of a 'Beatles man' really. Because I've always admired them more for their artistic expression than their performances -- plus their on screen antics. However, now that I've grown up a bit, my stance on Elvis has changed quite a lot. In my eyes he's the simple farm boy with a big heart and the bigger talent, which all other musicians in his wake wanted to be. John Lennon, Tom Jones, and Michael Jackson -- just to name but a few -- have always stated in the past that he was the man who inspired them to become the people they would then go on and become. Boy-oh-boy! I wished he was still around today you know. Elvis. I'd bet my bottom dollar he could have shown many of these 'wannabe upstarts' how to command a stage, singing with the best of them no hold barred. Well, couldn't you just imagine what he'd be like on one of those musical talent shows -- like 'X-Factor' or 'American Idol' -- judging the next wave of young hopefuls whilst sitting next to Simon Cowell and his ilk? Wow! Mind-blowing thought, huh? 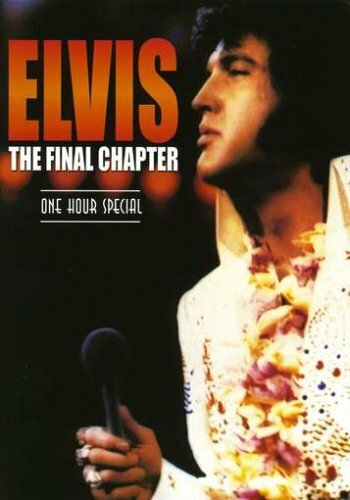 And not like this very poignant yet fractured documentary -- 'Elvis - The Final Chapter' -- one little bit. Wait up! Before I get to that. Please allow me to spill a bit of trivia on you first, OK? (1) Elvis died on the 16th of August, 1977, after collapsing on the toilet. His autopsy stated that his last meal was four scoops of ice cream with six chocolate chip cookies. (2) The King was a big fan of British humor, and stated that his favorite films were Monty Pythons 'Holy Grail', and Peter Seller's 'Dr Strangelove' [click on links for the reviews]. (3) Believe it or not, it is illegal to impersonate Elvis in Mogadishu, Somalia, without a beard. 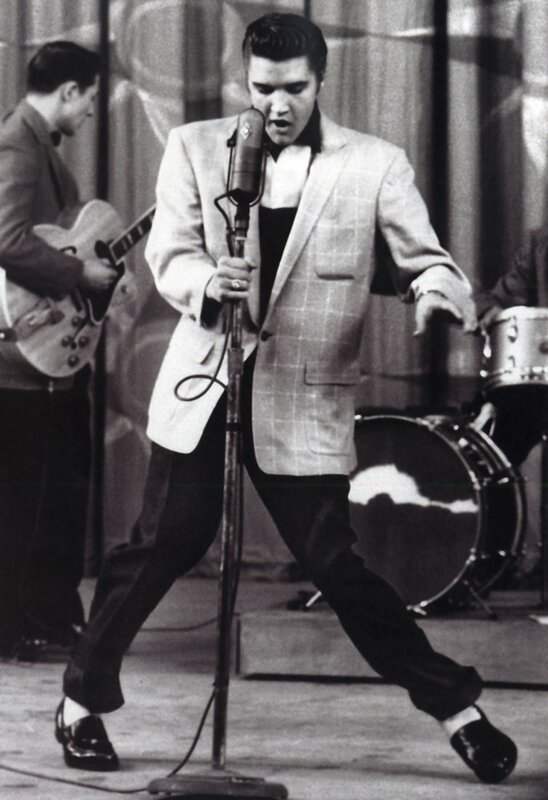 (4) Although Elvis recorded over 600 songs during his career, he did not write any of them. (5) The Jewish Star of David worn around Elvis' neck stated 'I don’t want to miss out on Heaven due to a technicality'. (6) Tom Jones appeared on stage with Elvis in the seventies. 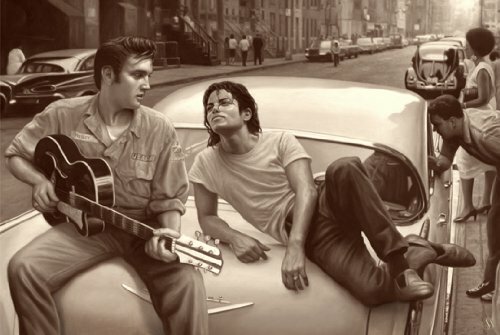 But 'the King' couldn't sing along with him. Oh no. Due to an exclusive contract he had with a rival Las Vegas casino at the time, he had to perform a martial arts routine instead of sing. (7) The last song Elvis sung in concert was 'I Can’t Help Falling In Love With You', which he did at the Market Square Arena, Indianapolis, Indiana, on the 26th of June, 1977. (8) Elvis impersonators are growing and growing by the year. In 1977 there were 170 of them. And in 2002 there were approximately 85,000. So at this rate a third of the world’s population will become Elvis impersonators by 2019. (9) Elvis really disliked his famous nickname, 'The King', stating in the press 'Jesus Christ is the King. I’m just an entertainer'. Pretty nice set of facts, huh? Admittedly, a bit mumbled in places: because they do jump around from one topic to another in a rather lop-sided fashion. Still, in a round about way, I thought it appropriate somehow; because in textural form these 'facts' illustrates how this documentary plays out in real time. Well, what is it trying to achieve? Is it trying to explain away Elvis's dichotomy with his hard-lined manager, Colonel Tom Parker? Or is it trying to justify Elvis' interpersonal relationships with his 'female companions' or the 'Memphis Mafia'? Yet again, maybe it's about his drug intake? His unlucky film career? His death? His life? Etcetera. Etcetera. Etcetera. See what I mean, dear reader? The biggest problem with 'Elvis - The Last Chapter' is that its general through-line is askew as an overall narrative. It never hanging onto one subject long enough to give it the time it deserves. But as for the rest of it on the other hand? Errr? It was OK I suppose. I liked listening to most of the verbal account's Joe, Sheila, Don, and the rests, recounted about Elvis in the documentary. Well, he is the King, right? Whilst I am a humble blogger. And my parents will kill me if I take the lords name in vein. He's the best.